Interested in Digital Health research? 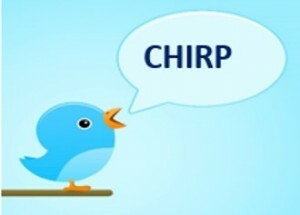 We will be holding a CHIRP meeting on Thursday 30th October at 1pm in P403 for anyone who may be currently conducting (or interested in conducting) research studies related to digital health. The aims of these CHIRP meetings are to meet regularly as a group with common interests so that we can stay updated about current research/current technologies etc., potentially find areas of common interest for collaboration and generally bounce ideas around one another. Meetings are open to anyone interested in digital technologies and health whether this focuses on digital health interventions, issues around the impact of digital technologies on health and wellbeing, how digital technologies can aid clinical training or something similar. We are particularly interested in creating a multi-disciplinary group of researchers so welcome any colleagues from Health and Social Care, Computing, Psychology, the Media School etc. etc. We are currently working on pulling together a BU CHIRP/Digital Health research webpage and aim to share our first version with colleagues at the meeting as well as update current/planned projects and past/upcoming events of interest. Please contact Sarah on swilliams@bournemouth.ac.uk if you would like to join our CHIRP group or would like to come along and find out more at our meeting on the 30th.